Using @SeeSaw to engage kids and parents alike. One of my PDP goals this year was to improve my documentation of non-written, or perhaps more fittingly, non-worksheet based assessment. I spoke to my friend Pip Cleaves about how I’d been using Evernote as part of this process to photograph and annotate student work and how I’d been finding it OK, albeit a bit time consuming. 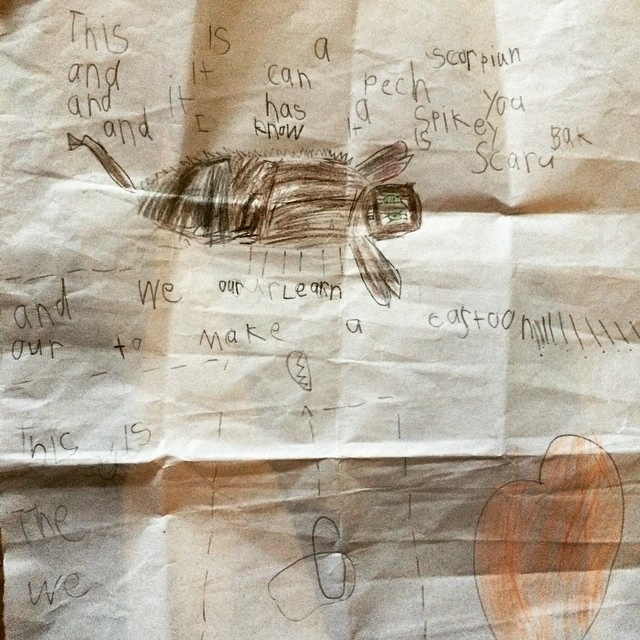 Pip mentioned the SeeSaw app and that Cheryl Roner had been using it over at Hilltop Road Public School and I said I’d consider giving it a go. I also mentioned the app to a parent and he seemed very enthusiastic, asking me about when I was going to get started whenever he saw me. I decided to set it up and I’m very glad that I did. I’ll explain a few reasons why. Firstly, assessment is no good unless it is acted upon, which is part of the reason I dislike worksheets so badly. It’s very easy to get kids to complete a worksheet, mark it in their absence, document the sheet for your records and then move on without even saying anything to the student(s) about how they are going and discussing ways in which they can improve. So how is SeeSaw different? Well, kids get very excited about sharing their work with their parents. With SeeSaw you can tell them what you are looking for and ask them to go off and demonstrate in order for them to take a photo or video to share with their parents. They typically scurry off excitedly to complete their work, returning to have a discussion about what they have done. This opens up an opportunity for you to either confirm that they are on the right track, or explain to them what needs to be fixed up for them to be able to share their correct understanding with their parents via the app. It also allows for assessment AS learning, where students can add corrections to their work (or explanations of their work) when sharing with parents. In the example below, one of my students has correctly shown time on the hour, as well as half past, however, when explaining it to her mum using an audio recording, she accidentally says the time is 7:30 rather than 8:00. She was able to assess that with my help and (logged in as me) write an audio comment addressing her mistake. A few weeks ago one of my students was ill and away from work for the day. Whilst away, she wrote the following blog post from home. Yes, I know, it’s very short but she’s in year 1 and she was at home sick , so give her a break! She logged into SeeSaw from home using her iPad and urged us to read her post by making some audio comments on a photo I’d posted of the class reading a big book together in the ampitheatre. As I was at assembly at the time, I was able to receive the notification on my phone that she had commented (I thought it was her mum making the comment). I thought her comments were hilarious and cute, so I read through her post with the class and we left a whole class audio comment in reply, explaining that we had read and enjoyed the post, very funny. My student replied from home and we listened to it as a class the next day. So, as you can see below, sickness is no barrier to learning when you can connect with your class from home! As a parent, I remember the sense of frustration I used to get when asking my kids when they were younger what they did at school during the day. You’d ask the question, “So, what did you get up to at school today?” only to receive a response like, “Nothing.” or “I don’t remember.” SeeSaw is good at removing this frustration for parents, as you can upload examples of what the kids are doing in class, and the parents receive a notification on their mobile device. They are able to see what is happening in your classroom in real time, no matter whether they are at work, at home, or even on the other side of the world. Although you cannot view it,, I particularly loved a conversation with a parent that I had in relation to the post below, in which a parent explained how much she enjoyed being able to discuss class activities with her child’s teacher and to see what has been happening in class. So, as mentioned at the beginning, I initially intended to be used as a tool for assessment, however, it has become much more than that. It has become a powerful and enjoyable tool for connecting with parents, sharing with them the things we do in class and how wonderful it is to be lucky enough to work as an educator teaching their children. Hogs, cogs, logs and puggles: metaphors for teamwork. A number of people have asked that I share these so I thought that I’d share them here. In my classroom, I like to engage in project-based learning with my students as often as time allows. If you’ve ever looked into PBL, you’d know by now that one of the focusses of this form of pedagogy is developing competencies in what are sometimes termed ’21st Century Skills’, two of which are communication and collaboration. To help foster the latter of these skills, collaboration, most of my class projects in some way involve having students work together in teams. Early last year I had my K/1 class come up with a few criteria regarding what constitutes a good team member, and using those criteria, I developed a teamwork rubric that I could use in order to assess my students on how well they were progressing and help boost their collaborative awesomeness. I blogged about it here, but neglected to add a link where you could download the rubric to either use with your own class or to develop your own with your students. I’m adding the link below in the hope that it might come in handy for anyone who reads this post. It basically works like this. Everybody (including the teacher) begins as an egg (pretty good), as they get better at each of the criteria they are bumped along the scale to first become a puggle (juvenile echidna, getting better) before becoming a full grown echidna (completely awesome) in all their spiky collaborative team member glory. Of course, regular class discussions are had around teamwork and how being good at any of the criteria makes a good team member. Also, when the opportunities arise for ‘just in time’ learning outside of teamwork situations, discussions around collaboration often occur. Another poster I like to use to frame the conversation around teamwork is the ‘Hogs, logs and cogs’ poster that I put below. This is cool for getting kids to think how working together is kind of like acting as one big machine where everybody has their own role to play. You all have to work together like separate, yet connected cogs of the one big machine. I sometimes talk about how the class itself is one big machine and that we all need to work together to help each other learn. I learned about the three different types of team member after a conversation with a colleague late last year, thought it was hilarious and a great mnemonic for kids. They are as follows. Kids understand the language well and for the most part would like to be a good team member. When I notice a particular team being awesome I give them a prize of some sort, a class award or merit certificate at assembly to publicly acknowledge that collaboration is awesome. I do have a recent photo somewhere of my students’ names all clustered around the puggle for working together, perhaps I’ll add it here later. You can download the progress chart and teamwork poster by clicking on the images below. 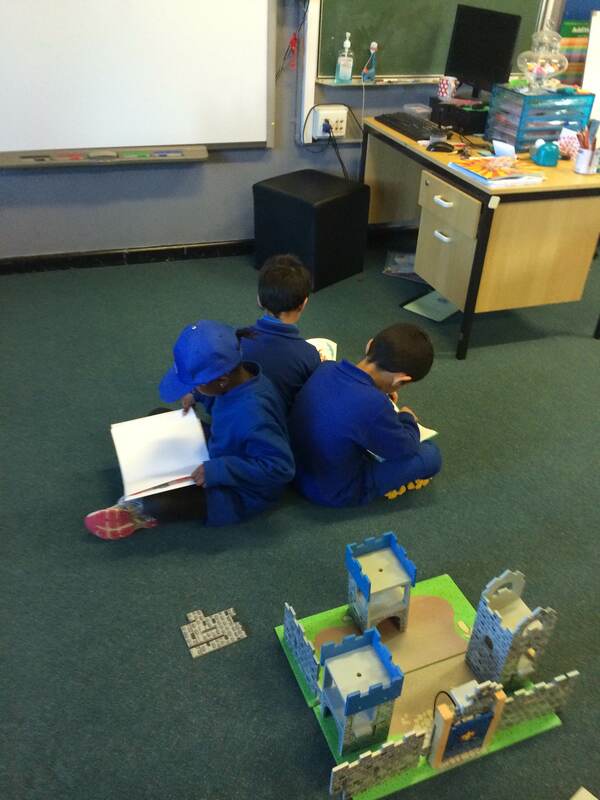 Reading groups in a technology rich environment. One of my PDP goals for this year is to improve my pedagogy around reading in my classroom, I guess this blog post will serve as evidence of my progress toward reaching this goal. A little over a week ago I attended a NSW Teachers Federation Centre for Professional Learning course entitled ‘Teaching Reading and Writing K-6’. I’d like to document some of what I took from the course and how I’ve implemented it in my classroom to hopefully improve my practice and benefit my students. Whilst at the course I was introduced to an activity aimed at having students demonstrate not only their comprehension of the texts they’ve been reading, but also discuss and share how and what they have been thinking whilst reading those texts. The activity is called ‘See, Think, Wonder’ and it is set out as follows. 1. 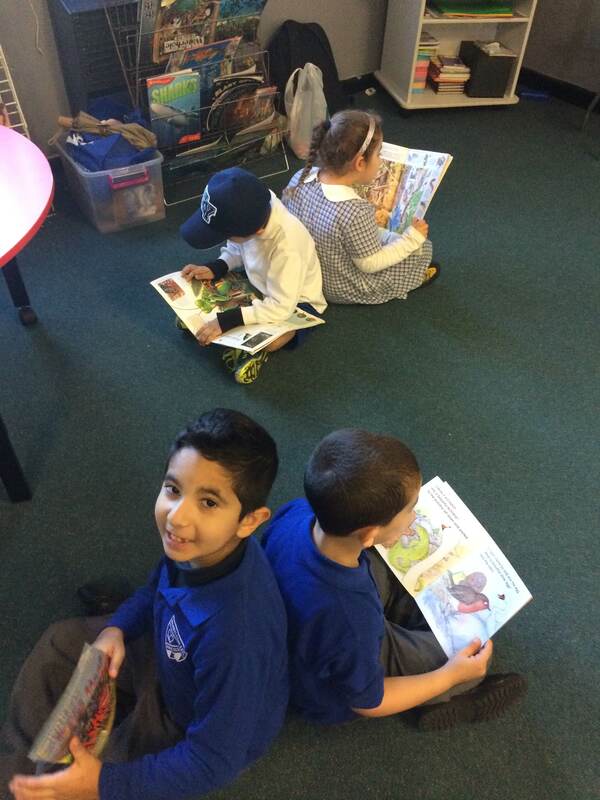 Back to back: Ask students to choose an appropriate book and sit back-to-back with a member of their reading group whilst they each independently read either the whole book, or a section of the book. 2. 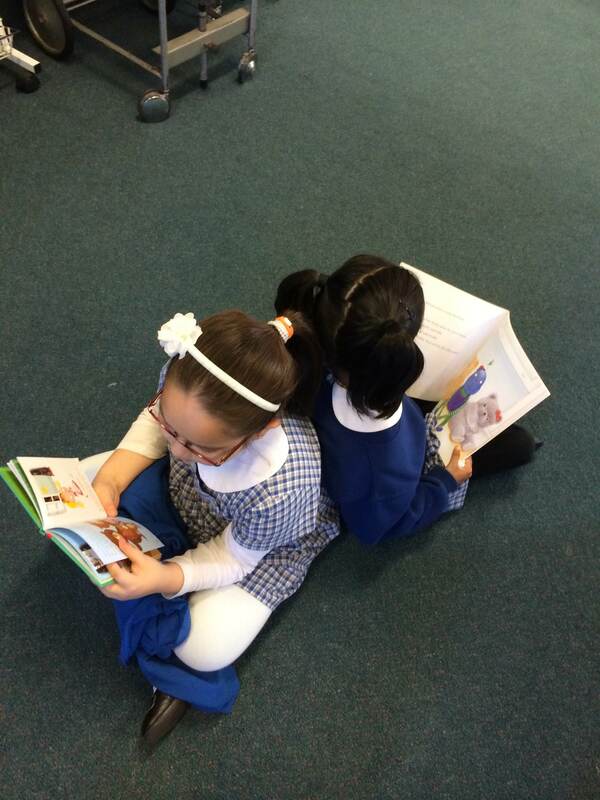 Knee to knee: After students have read for around 10 – 15 minutes, ask them to sit knee-to-knee with their partner to discuss certain aspects of the book. To frame the conversation, students are directed to ask and answer the following questions. When you read the book, what did you see? When you read the book, what did you (or what did the book make you) think? When you read the book, what did you (or what did the book make you) wonder? 3. Students need to document their answers to these questions in some way. Now when I heard about this activity at the meeting and thought about it awhile, for some reason it resonated with me as something that I would like to implement in my classroom, and I’m so very glad that I did. I’m lucky enough to have 1 to 1 XO laptops for the kids in my class, so I’d like to describe how this activity, coupled with the XO devices and other forms of technology has allowed me to effectively differentiate my reading groups and allow me to see how my students are thinking about their reading. When I came back from being away for the aforementioned day of PD, I wanted to check that my students had read whilst I was away. I asked the group that I would have been reading with what they had read and was pleased to find that my students were able to tell me what they had been reading while I was away. One of my students told me that he had read the level 10 reader ‘The Silver Egg’ and was able to retell certain parts of the story. Not only did this give me enough confidence that I could pick up my reading program as if I had never been away, it also satisfied me enough that I could introduce ‘See, Think, Wonder’ with the class so that they could document their thinking on the XOs. The following day, I modelled the process using Google slides, you can see the jointly constructed example on the presentation below. I used The Silver Egg as an example due to the class discussion we’d had involving that book the previous day. After modelling the See, Think, Wonder process on the IWB, I explained the back-to-back, knee-to-knee activity and asked students in my more independent reading groups (The Grapes, Oranges and Blackberries) to complete back-to-back, knee-to-knee followed by See, Think, Wonder. I think the results are pretty cool and am very happy with how well my class have taken to it. See the student examples below. At school I bean thinking about our reading and I am in the Oranges. 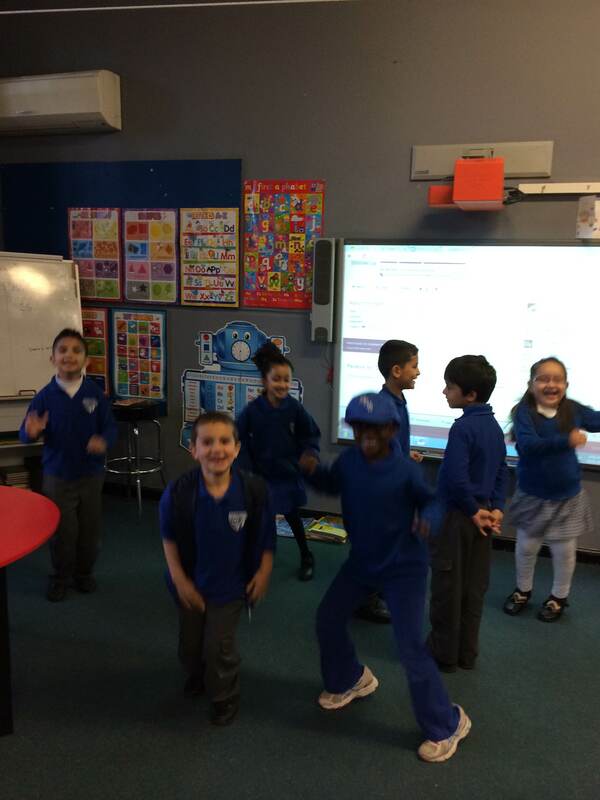 Im in 1l I would like to show you what I have doing in class. I have bean doing see think and wonder. I writed about the three little pigs and my Other frend is writing about the three little Mice in trouble. thire was a wolf and three little pigs and the wolf blowd two houses down and 1 did’nt blow down. For the less independent groups, I have also started trialling some Android apps on the XOs for the days when I am reading with other groups. Some that I have tried in recent weeks are Phonics Awareness, Droid Spell Kids, Dolch Sight Words iStoryBooks. They also like using the app Andy’s World which comes installed on the XO Android-2 update. 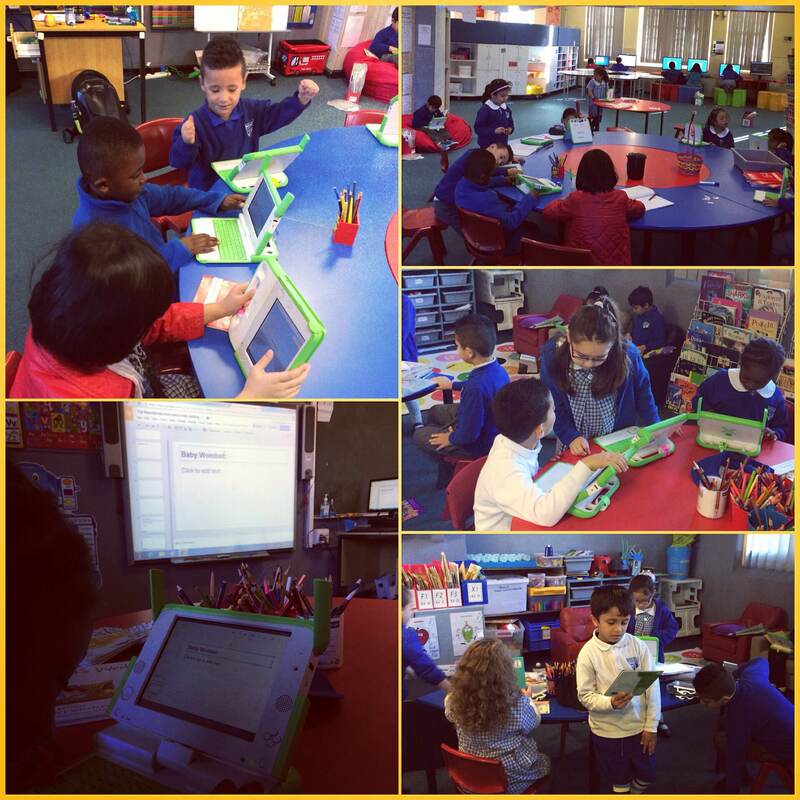 So what does reading groups look like in my technology rich environment? I’ve posted some photos below, but let me just finish by providing you with an example from my classroom. At the moment we are making a video for a class at another school, so during reading groups I had one group writing transition slides for our video using my Macbook Pro, another groups searching Jamendo for royalty free music to add to our video using the IWB. 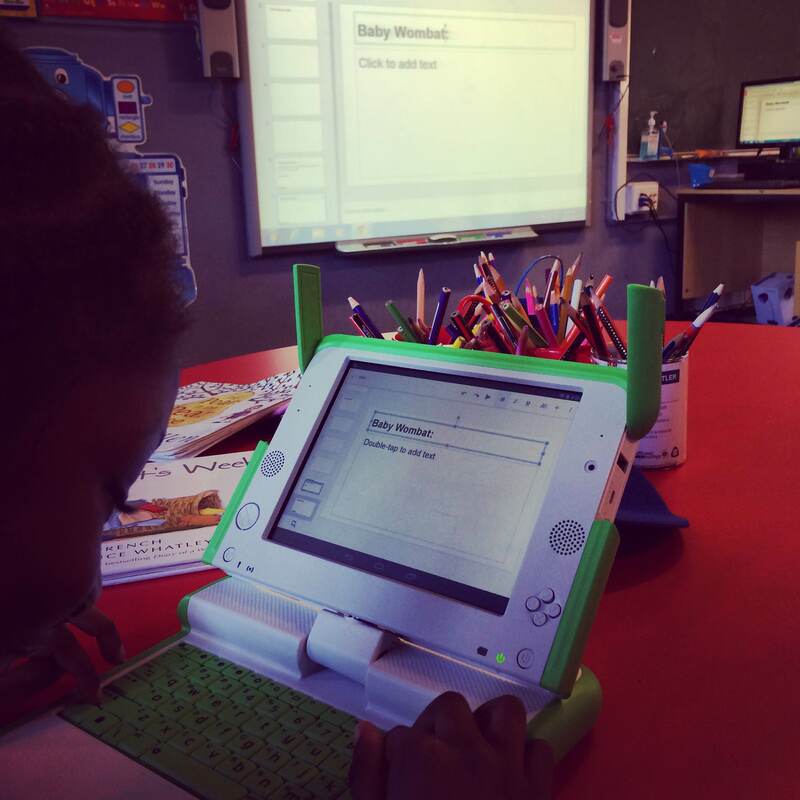 I was sitting and reading with one group whilst others were using the XOs for blogging, Google Slides and learning new words using their newly installed Android apps. 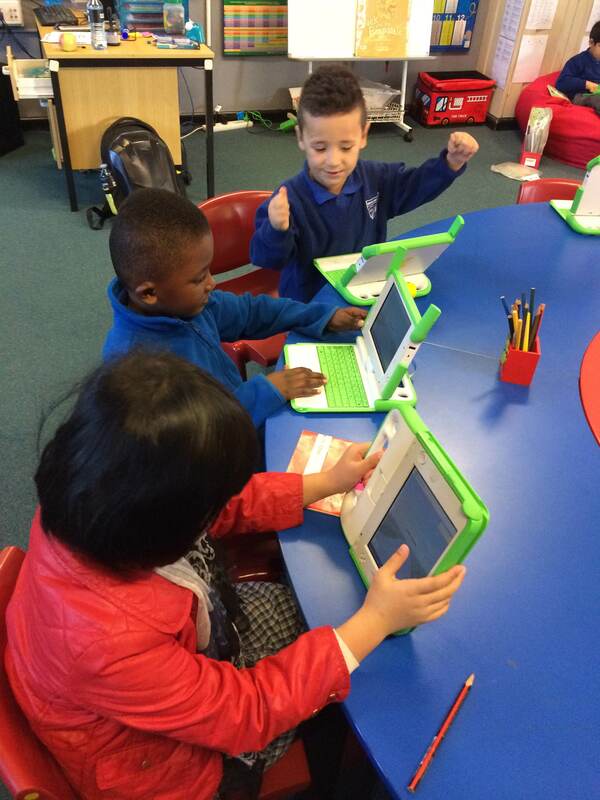 So to answer the question above – you might see kids dancing to royalty free music in front of the IWB, you might see kids typing away on a laptop or XO, you might see kids being read stories out loud from their devices or writing out new words they have learned from their XO. I like to think that for the most part they are engaged and learning, and I hope that these examples support what I think. 3 awesome things about our latest class project. 1. 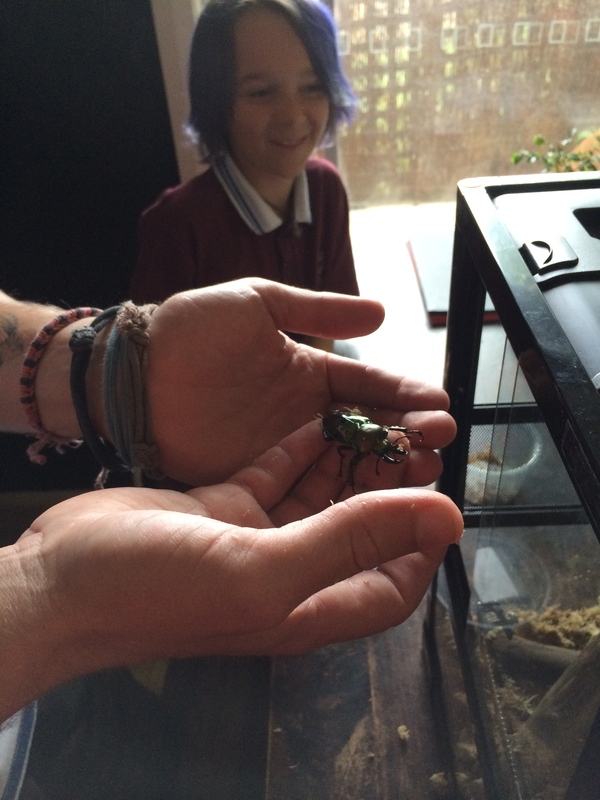 Kids (and some adults) like bugs. 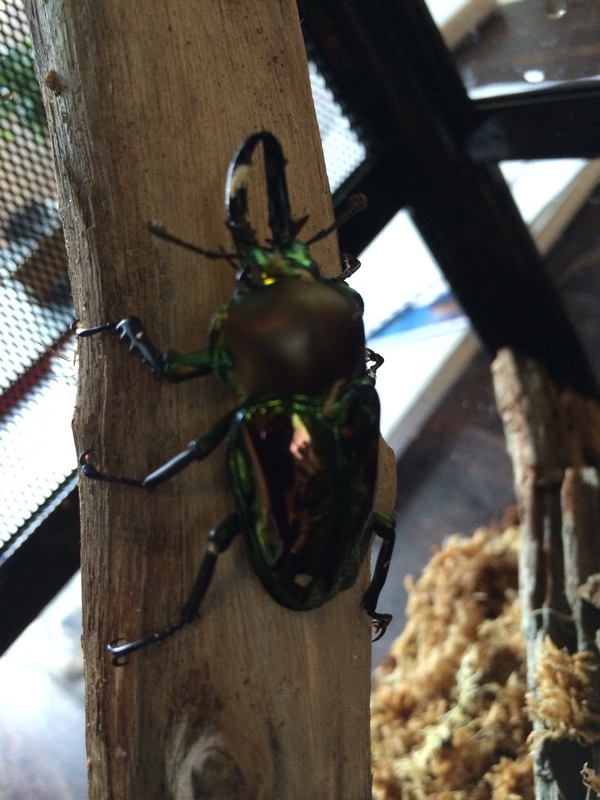 To launch the project I bought a class terrarium as well as a tropical far-north Queensland Rainbow Stag Beetle to go in it. I passed it around the room and explained everything that we needed to do to look after it. 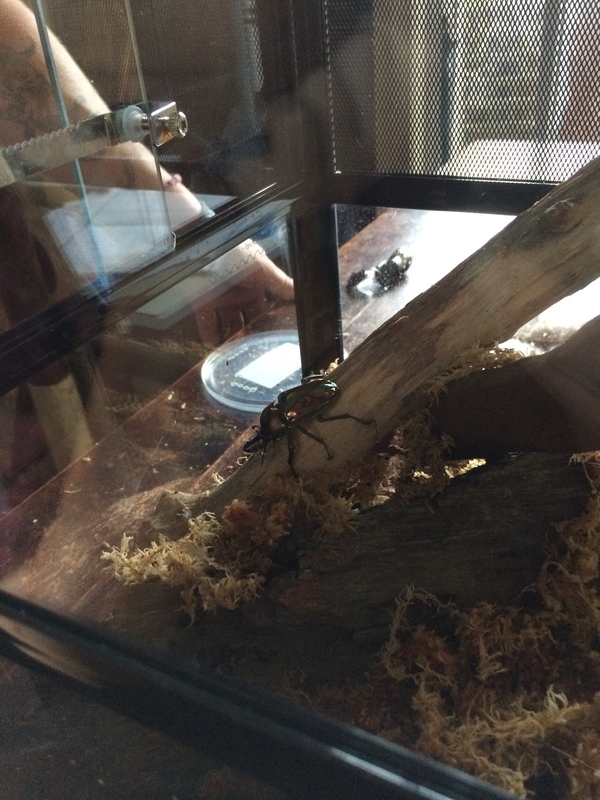 I told the class what food it needed to eat, that we needed to spray water inside the terrarium every day and that, as the beetle was supposed to live in a rainforest, we needed to keep an eye on the humidity in the cage by checking the hydrometer regularly. We then put the bug back and went to play a game of Pokemon ‘ ‘ on the Nintendo Wii. 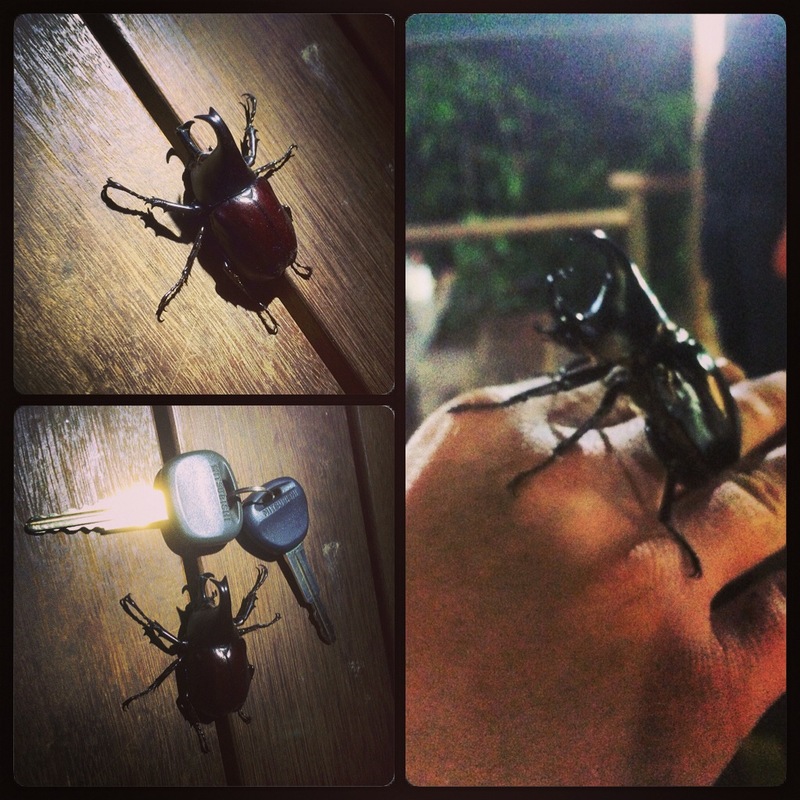 We also tweeted out a poll to see what we should name the beetle, and he soon became known as Trevor the Beetle. News of our class beetle quickly spread and pretty soon we had kids from random classes excitedly popping into our classroom unannounced with bugs they had found in their classrooms. They knew we were learning about bugs, so they thought they’d come and share their bugs with us! One day we had some visitors from year 2 come over with a daddy long legs spider they had found in their room. We thanked them and fed the spider to our pet praying mantis, Frances (but more about her later). Another day we had some kindy kids visit us with a rather sizeable bee that they had found buzzing around the classroom. Perhaps most exciting of all, however, was the visit we had from Mr. Nick, the school GA.
One day he rushed into the room very excited because he had found a praying mantis on one of the trees around the school. He showed it to all of the kids who were very interested to learn more about this strange looking insect. We decided to keep her in our terrarium along with Trevor. 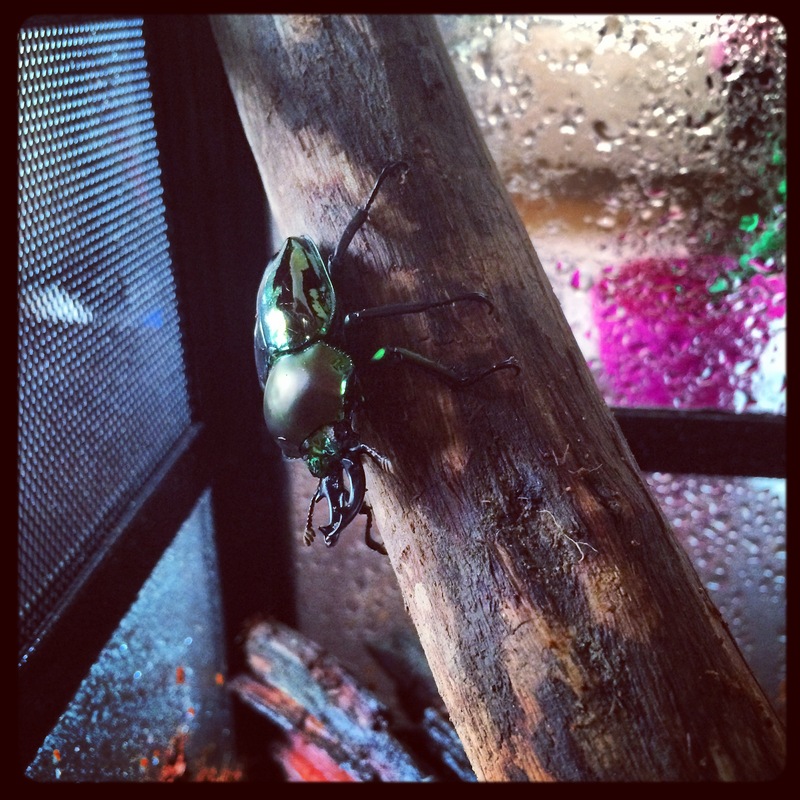 So we now have two bugs in a box named Trevor the Beetle and Frances the Mantis. We have managed to keep both of them alive for several months, and we love them. I also brought in some antlions, strange insects that, whilst in their larval stage, construct massive pits in which to trap ants and eat them with their huge jaws. Now all bugs need to eat. In the case of our beetle, Trevor, it’s pretty easy, you just need to wait for him to climb out from the ground and then give him some banana. With antlions and mantids, however, you need to do some work. They eat other bugs, which means that you need to go and find them. I would occasionally head out at recess with a jar to capture ants for our antlions and bugs for our mantis. As you might expect, I had no trouble finding helpers to aid me in my quest! I could often be found in the playground being followed by a large group of kids enthusiastically yelling about the bugs they were finding. So yes, one of the awesome things about #ProjectPokemon was how excited everybody was getting about bugs! 2. Kids had voice and choice. Kids had to choose their own favourite bug in order to create their own pokemon. This meant that at even in the early stages of the project we made the decision as a class to change the driving question. 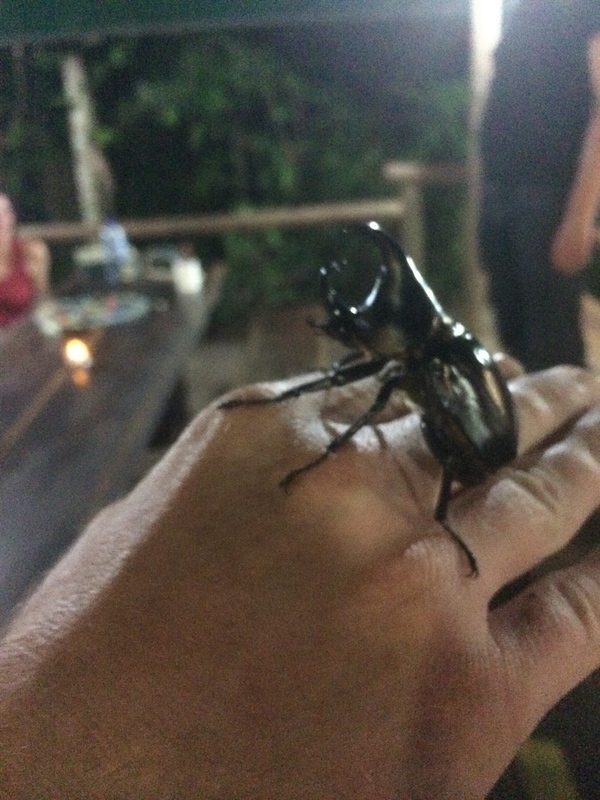 The original DQ was, ‘Which Australian insect would make the best pokemon?’ – we changed insect to minibeast because one of the students wanted to make a scorpion pokemon and we discussed how the scorpion wasn’t actually an insect but an arachnid. To allow students more voice and choice in the matter, and so that we could learn more about all types of little creatures, we decided to expand our line of inquiry by modifying the DQ. Originally I had set up small groups of around 3 students to work as teams. As the project went on it became apparent that this wasn’t necessarily the best set up, so I got the students to group themselves, based largely on which minibeast they had chosen and if they demonstrated to me that they were going to be able to complete the project together. They did this by explaining to me the minibeast they had chosen, why it would make a good pokemon, and which two pokemon ‘powers’ it would have. They then had to write all of this down in their books as a draft blog post before using their XOs to practise drawing bug cartoons by accessing the tutorials on our class website. 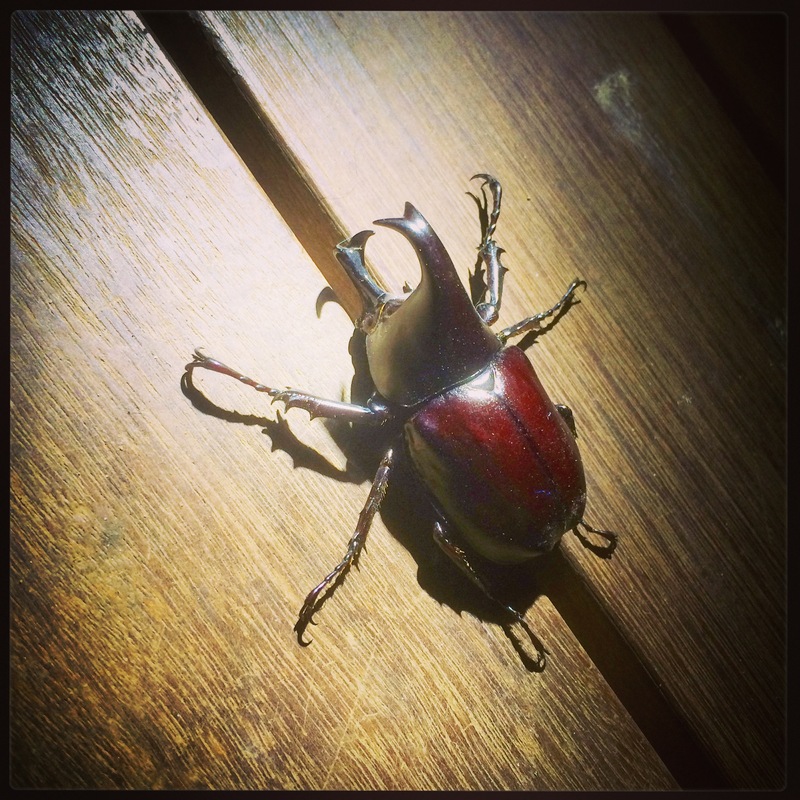 In some cases, students decided that they would prefer to work alone, either because nobody else had chosen the same minibeast as them or because those who had were already partnered up. Not all projects need to be based around teamwork, and in this case it had become clear that this particular task was best approached either individually or in pairs. So yes, students very had voice and choice in the direction of the project, at the early stages by changing our line of inquiry based on their choice of minibeast, and at the later stages by choosing who (or not) they would be working with. 3. Kids were engaged and suitably challenged. One of the things I really liked about this project was the fact that students would often come to class with minibeast/pokemon based work samples they had completed at home. Some of these included cartoons that they had practised by accessing our website from home, some included descriptions of insects and reflections on what we had been doing as part of the project, others had logged into their own personal Kidblog accounts and written draft posts on their parents’ tablets! I’ll post some of these work samples below, along with a lovely email I received from a parent, who wanted to tell me that they were happy with the project. I was so pleased to receive such a lovely email and to see one of my students applying what she had been doing in class in a different context. I think it’s very creative! 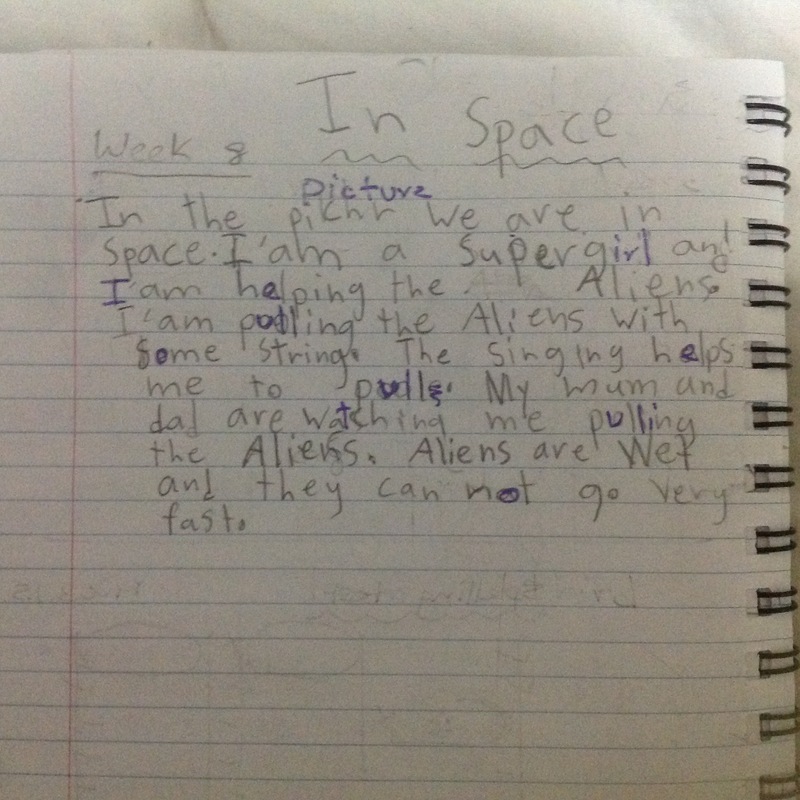 A blog post, drafted by one of my students at home, and edited and published at school with me. Some work done at home by a student and brought into school. I just briefly wanted to say something also about the students being challenged. As with all classes, my students have a range of abilities. Some of my year 1 kids need assistance with writing short segments of writing, whereas some can quite readily write longer pieces without need of much assistance. 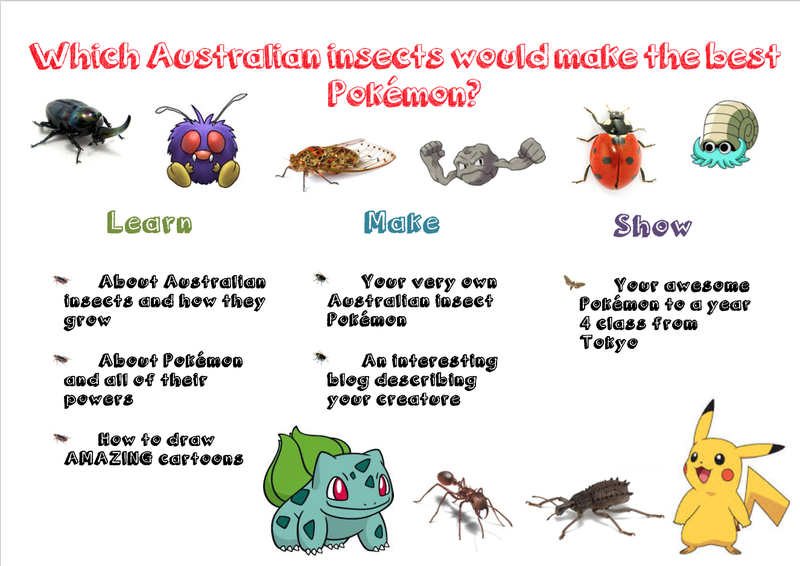 Some could be extended by being asked give reasons for their answer in their writing, for example, ‘Why would this minibeast make the best pokemon?’, ‘What can it do?’ I think this task allowed for students to be challenged with their writing. For some this meant working largely independently (or together) and getting help and suggestions from me at some later point, for others it meant sitting with me and working on it until they were able to finish the rest on their own. Every student or group, however, was able to complete the project and publish their work online. Yay. I just wanted to say big thankyou to you and really appreciate all your hard work. Your thoughts and concept in regards to the Pokemon project has definitely contributed a very positive outcome. 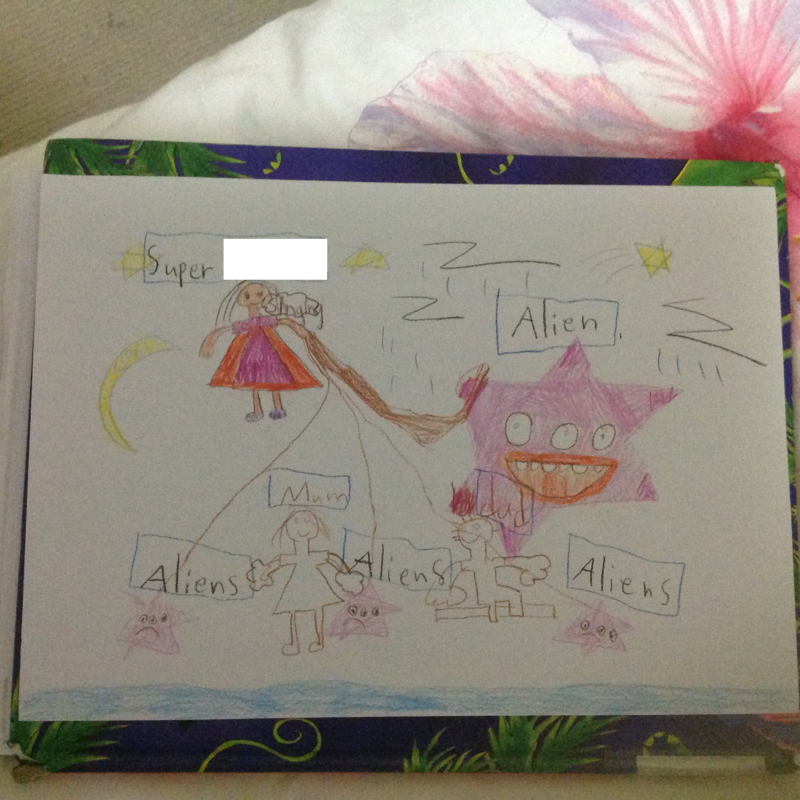 You will be very happy and feel very proud of your student and your self to see attached _ _ _ _ _ _’s drawing and her thoughts on it. I was amazed to see what she came up with during weekend. 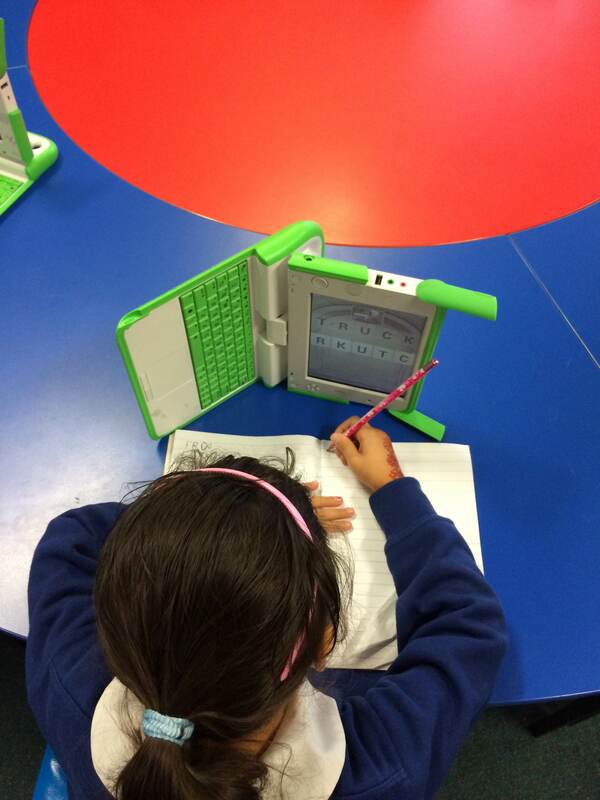 Setting up your OLPC XO to display on an IWB. 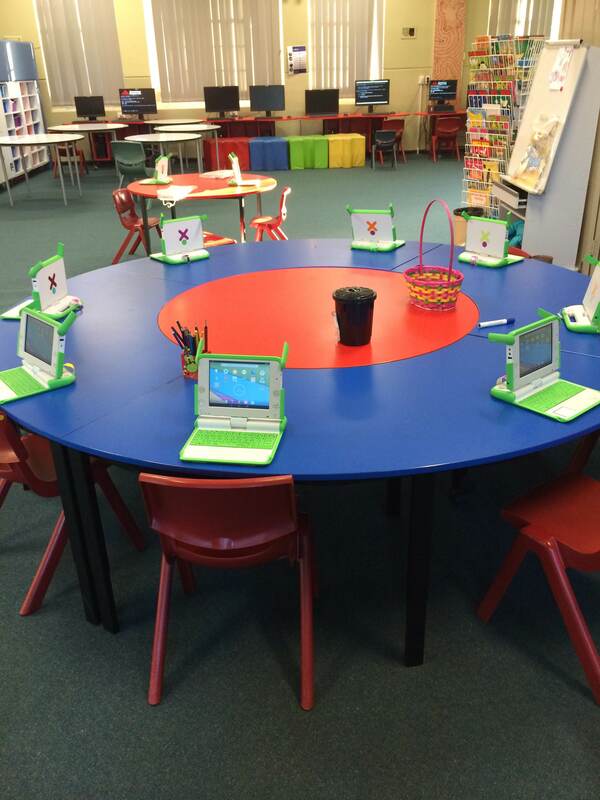 For the past year, stage 1 one students at my school have each been allocated an XO laptop for class use. They’re pretty cool little laptops, with a bunch of ‘activities’ installed’ on their ‘Sugar’ Operating System for students to use. Some of the activities I use most frequently in class are ‘Speak’ – a text to voice application with a funky interface which speaks out any words that are typed into the machine. I find it useful for students to use during guided reading activities. Any group that I am not reading with can type in unfamiliar words and have the Speak activity say the word for them, without me having to be alongside them to help them. Of course, this doesn’t help them know what the word means, but for that, I get them to keep a log of the words they don’t understand, either in their books, on some paper, or using the Write application (below). Write is basically a simple word processor for students to write with. For guided reading, students have a file called ‘Tricky Words’ into which they can type any words that they don’t understand for us to clarify together later. Of course, students can use this for any writing activity to be saved for later as all student activity is automatically saved in the machine’s journal until deleted. 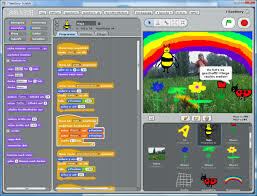 Another activity I really enjoy using, particularly later in the year is Scratch, for teaching basic programming skillls in a really kid friendly way, but I’m guessing (and hoping) that most of you have heard of that. Anyway, as good as some of the activities are, I find that mostly we use the XOs for accessing the internet so that we can get to our class Weebly or log in to our blogs in order to draft and publish posts. To teach stage one students how to do this, as well as any other work that requires a step-by-step process, it’s quite handy to have the teacher XO displayed on the IWB so that students can follow along and learn how to do it. This prevents the necessity to bolt around the class, trying to assist each student one by one. To display your XO on the IWB requires a minor install on the machine itself, through some basic commands in Terminal and depending on whether you use Mac or PC, installation of some Virtual Network Computing (VNC) software. In the interest of helping you out, here’s what you will need to do. Most of the process is outlined on this wonderful post, but there are a few additional steps that I will outline below so that you are all set to go! 1. Firstly you will need to download Vino, the package that allows you to open up your XO for screen sharing through Terminal. You can do that here – just download the latest one. 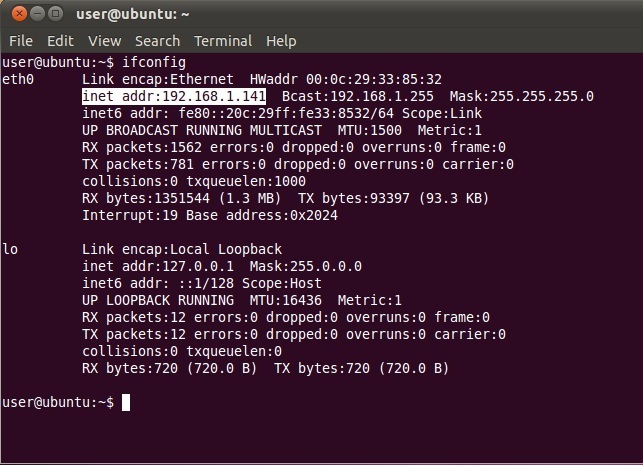 If you are with the DEC, you will need to do this whilst connected to your network at home or through a hotspot on your phone. and modify the settings according to the post I linked to above. I have found that you also need to add the requirement in preferences that users require a password in order to connect. I’m not sure why, but I’ve found that without adding that requirement, I have been unable to establish communication between the devices, and I have connected several now at work. This brings up the following info. The only thing you need to know is the number string highlighted. You can then hit F3 to get back to the Sugar home screen. 6. If you are using a Mac, you then need to connect to your XO by screen sharing through the Finder -> Go -> Connect to Server menu. Type in your XO’s ip address which you found in step 4, and make sure you include vnc:// at the beginning. 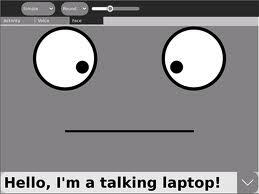 If you are using a PC, you need to download and install some screen sharing software. I have been using RealVNC Viewer, just follow the installation and connection instructions provided when you download it. If you’re not using Terminal very often, you should be able to do this simply by pressing the up arrow, finding the right command and pressing enter. 3 reasons why having a connected classroom is awesome, important and necessary. Back in the days before I was a teacher, one of the things that really got me interested in the profession was some of the epic things Bianca was doing with her classes – connecting them with people and classrooms outside of her immediate context, sharing what they had been doing and collaborating on things. For me, it showed how much school had changed since I was a student, how much potential there was now with ICT and social media to do stuff that really stretched beyond the classroom. I saw how excited Bianca used to get about the things she and her classes were doing, and suddenly school became more interesting to me. Having had my own class full time for a year now, and having done some cool stuff connecting my class with others, I’d like to share a few reasons why, for me, having a connected classroom has been really cool. Gone are the days in which students wrote things in workbooks to be marked by the teacher and then left in a tray, collecting dust, only to ever to see the light of the day in between leaving the classroom and being thrown in the bin. My students do the majority of their writing for an audience outside of their classroom. They may still use workbooks, but these are mainly for the purpose of drafting blog posts and other writing to be posted online, for drafting scripts for videos and screencasts. Here is a little list of some of the things my little K/1 class did this year, and who for. 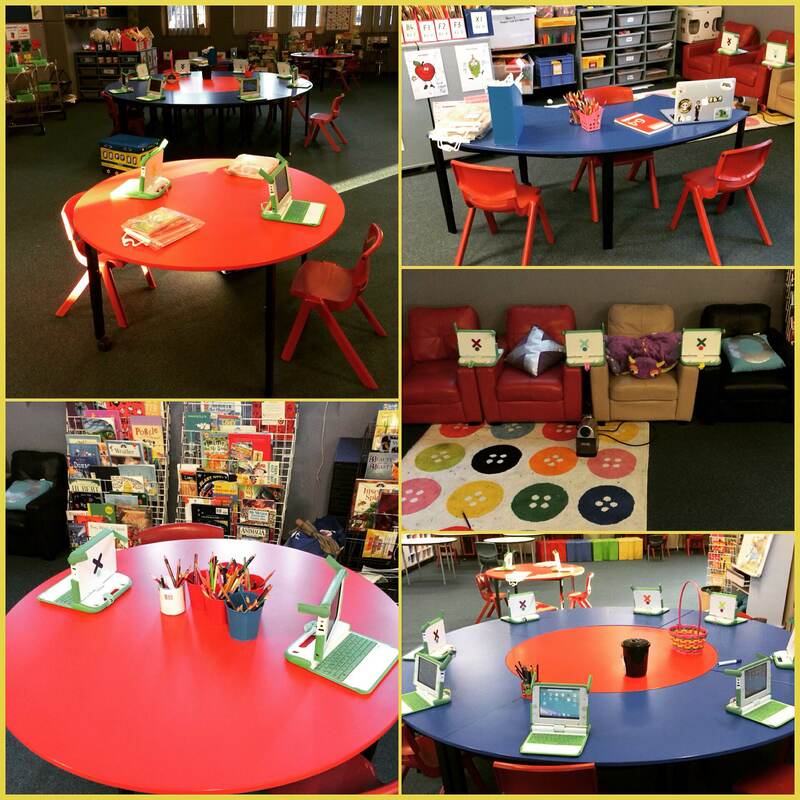 ♦ Blog posts — @Beyond57, Coffs Harbour PS, South Grafton PS (and other mid-north coast schools), 3B Bees. Now obviously everything that my class created here was for an audience and clearly had a purpose beyond just submitting to me to ‘mark’ and give feedback. In addition to this, however, I find that this sense of purpose increases engagement, not only for myself as a teacher, but also for my students. I personally find it more exciting to be making stuff for people who are interested in what I’m making, who are going to respond, and I find that students are too. I ask them, “Why are we doing this?” and, “Who for?” and students can tell me. They want to please their audience! 2. A meaningful context for kids to start thinking about the world around them, and the people in it. Every time we connect with a new person or classroom, I discuss with my class where they are from. We open up the location on the IWB, discussing where it is in relation to us, distance, differences in climate, culture and food, proximity to places that they have visited and much more. Now I could stand in front of the board and do this any day of the week, but having classes from all over the globe connecting with mine provides a meaningful reason for us to be having these discussions. Next February, when school goes back, I’ll be Skyping with a class from Canada to help kickstart the year. I know my students are really going to enjoy it, and it really will open up the world for them. 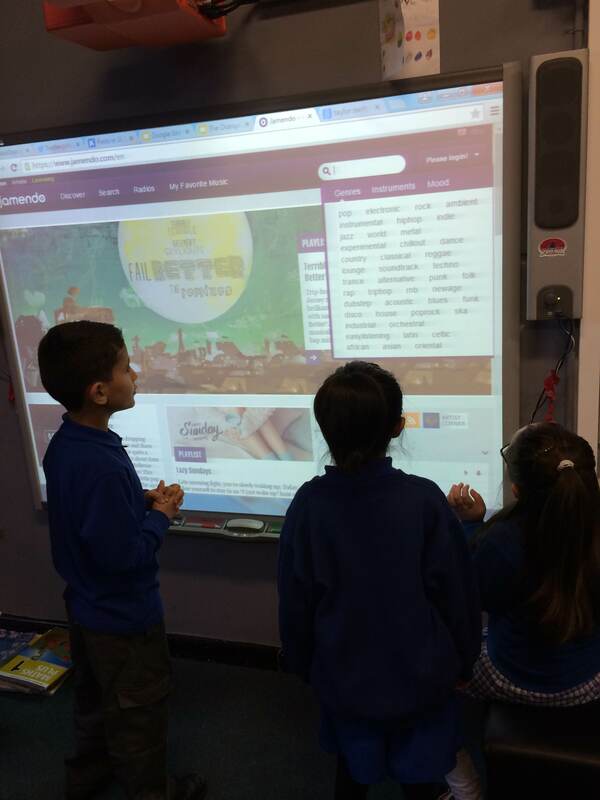 Check out this vid from the Kinder Panthers to K/1MEPS to see how little kids actually know about countries from the other side of the world and how connecting classes is an awesome way to teach them some more. (go to 2:00). 3. 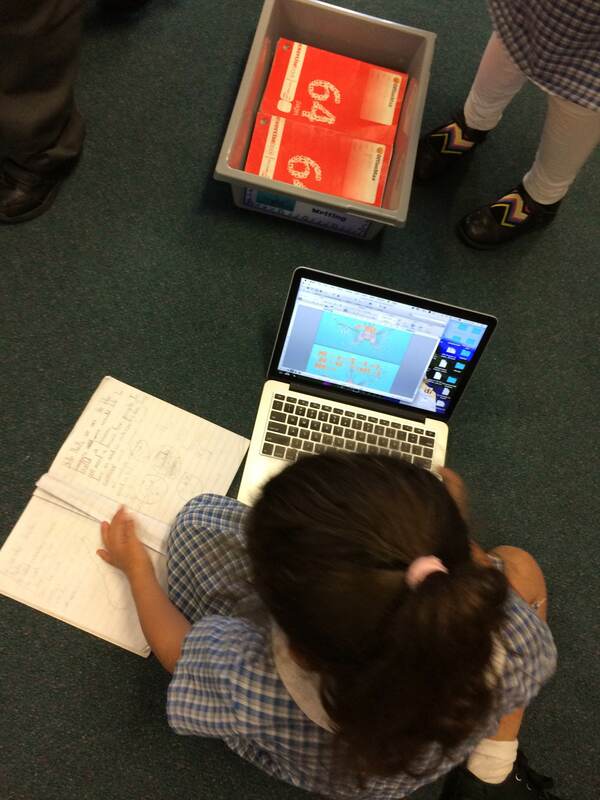 In a shrinking, globalised world, kids need to learn early how to collaborate on connected projects. I have a few friends who work in academia and I’ve found that at the moment, the push for Open Science is quite strong. One of the reasons for this is that, currently, a handful of publishers have the dominant hand over what is published by hard working academics. This is problematic, not only because of the high profit margins under which they operate but also because open projects, in which all are able to contribute, modify, critique and publish tend to get meaningful stuff done much more quickly. Have a look at some of the stuff that Matthew Todd at USyd has been involved with to get a better idea of why I think Open Science is important, and how connected projects are an essential part of the process – and the way of the future. I believe that opening up the classroom, even if it’s as simple as by connecting classes from as early as K-2, is an important step in getting some meaningful work done and helping students realise that their learning can, and in some cases does, have implications beyond the four walls of their classroom. There you go, I reckon the connected classroom shredz.